With albums that included Tea for the Tillerman and Teaser and the Firecat certified triple platinum in the United States, and his 1972 album Catch Bull at Four selling half a million copies in the first two weeks of release as well as reaching No.1 in America and No.2 in Britain, Cat Stevens was the epitome of the singer songwriter. In all he had five UK top ten albums including his debut, Mathew And Son, Foreigner and Buddah And The Chocolate Box. Surprisingly his second album New Masters did not chart but the opening song of side two is the beautiful 'The First Cut Is the Deepest' that has been covered by a diverse range of artists, from Rod Stewart to Sheryl Crow and definitively by P.P. Arnold. Born in London in July 1947, the son of a Greek father and Swedish mother, Steven Demetre Georgiou was brought up amidst the neon bustle of the West End and exposed to music from a variety of sources. His father bought him a guitar when he was 15 and he started writing songs straight away. While studying at Hammersmith Art College he was auditioned by Mike Hurst, formerly of The Springfields, who was impressed enough to make a single with Steven. The result, 'I Love My Dog'/'Portobello Road' came to the attention of Tony Hall at Decca who was then assembling a roster of artists to launch his new Deram label. Alongside David Bowie and The Moody Blues, Steven, who would from now on be known as Cat Stevens, was signed up. Pirate radio play had pushed his debut single into the Top 30 and paved the way nicely for his follow-up, 'Matthew And Son', released in December 1966, which was a sudden and welcome smash hit at No. 2. An album of the same name followed in March and made it to No. 7 in the LP chart, and the same month another single, 'I'm Gonna Get Me A Gun', came out and was a No. 6 hit. As well as his own success he was also writing material for other peoples' hits. The Tremeloes had a No. 4 single with his 'Here Comes My Baby' and P P Arnold (and much later Rod Stewart) had a hit with 'The First Cut Is The Deepest'. 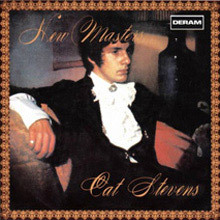 A UK tour that could only have happened in the 1960s with the Walker Brothers, Englebert Humperdinck and Jimi Hendrix followed but Stevens was fast becoming disillusioned with the orchestrated pop that his record label wanted him to make as well as physically drained by the endless gigging and general 1960s-style indulgence. At the end of 1968 it all caught up with him and he contracted tuberculosis and suffered a collapsed lung. His year-long recuperation in hospital altered his perspective on life, focused his mind on what he really wanted to do, and when he re-emerged he was a changed, and bearded, man with a bag full of new songs. Stevens switched record labels to Island and started recording his more thoughtful, intimate folk-based songs that were played in a loose rock setting for his debut record for Island, Mona Bone Jakon. Not a chart album but it did contain 'Lady D'Arbanville' (with a young Peter Gabriel on flute! ), still one of Stevens' best-loved songs and a No. 8 chart single. The flow of new songs was accelerating fast and just five months later another album came out “ Tea For The Tillerman" a record packed with so many great songs it beggars belief that it didn't yield any hit singles. An album that contains 'Where Do The Children Play', 'Hard-Headed Woman' and 'Wild World' is bound to have an audience though and it reached the Top 20 here and No. 8 in the US where it went gold. A new generation of listeners was introduced to Cat's music when, 'Father & Son', became a huge hit for Boyzone in the 1990s. 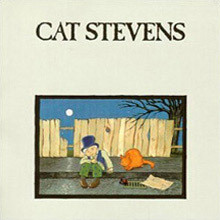 Tea For The Tillerman was a big album for Stevens but it was the next record, Teaser And The Firecat that promptly elevated him to megastardom. Released in September 1971 it was a No. 3 album here, a No. 2 album in the US and the No. 1 album in thousands of teenage girls' bedrooms on both sides of the Atlantic. Cat Stevens was suddenly the deep, sensitive songwriter and pin-up who caught the mood of the times for young people perfectly. Teaser And The Firecat yielded four singles of which 'Moon Shadow'reached No. 22 and 'Morning Has Broken'made the Top 10 at No. 9. Stevens' spiritual life was also changing as he became increasingly engrossed in Zen Buddhism and embraced astrology and vegetarianism. The title of his next album, Catch Bull At Four, was named after Kakuan's Ten Bulls, a 12th-Century Zen Buddhist treatise on the steps to self-realisation. It was even more successful than Teaser And The Firecat, reaching No. 2 in the album chart here and topping the chart in the US - it demonstrated Stevens' growing prowess as a multi-instrumentalist. July 1973 saw the release of Foreigner, in many ways his most introspective and reactionary album. It was Stevens taking stock of things, reassessing his lifestyle, trying to come to terms with the fame that had engulfed him and the expectations of his adoring fans. It could be seen as a deliberate attempt to confound those expectations and try and create space for himself to express himself more freely. Overtly less commercial it was still another hit album No. 3 both in the UK and US. It was recorded in Jamaica with a new set of backing musicians, the occasional horn and string arrangements, and had a relaxed, sparse feel. It also reflected Stevens' preoccupation with soul, R&B and the blues. In an interview with Circus magazine he said: "If black music was happening, I decided to just get down to it. And because I was a stranger in the world of black sounds, I called the album Foreigner." Definitely a change of style and, heard again 40 years later, a record that is as strong musically and conceptually as any he has made. 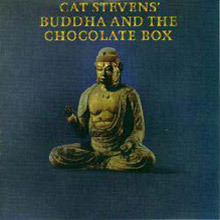 Buddah And The Chocolate Box - another Top 5 album - in March 1974 saw him return to a more accustomed style and was followed soon after by a live album - Saturday Night - recorded in Tokyo from which his cover of a Sam Cooke song, 'Another Saturday Night', provided him with a rare UK Top 20 single. But the itinerant lifestyle was having an effect. In 1975 he moved to Brazil for tax reasons, all the while donating liberally to several charities, but he was inwardly searching for something more fulfilling than the show business life that had been bestowed on him. He had everything but he wasn't happy. As his life became more fractured and diverse so did his albums. His next one, Numbers, didn't chart in the UK and Izitso, released in April 1977, was his last Top 10 charting album. His gradual immersion into a more spiritual life developed further when he nearly drowned in the sea at Malibu Beach but survived when he called out to God and the tide changed. His brother David also introduced him to the Qur'an, and its teachings affected him deeply and seemed to provide the answers to his many spiritual questions. He renounced a life of hedonism and materialism, retreated from the music business, embraced Islam in 1977 and changed his name to Yusuf Islam. He still had one more album to deliver as part of his contract though and when he'd released it - Back To Earth - in January 1979 he closed the book on his career as Cat Stevens for good. He says that the moment he became a Muslim he found peace and from then on devoted himself to education, humanitarianism, fundraising and charitable causes. He became a spokesperson for the true meaning of Islam and an ambassador for a religion that was being abused by extremists, both in the east and west. This calling eventually led him back to the recording studio in 1995 to make the spoken word album, The Life Of The Last Prophet, on his own label. He has continued to write and record songs, nearly all of them faith-based and most of them of an educational nature for children. In January 2005 he appeared in a fundraising concert in Jakarta and sang a song, 'Indian Ocean', composed especially for the occasion - the first official song that Yusuf wrote and recorded with instruments after a hiatus of 26 years. And in a move that his fans must have feared would never happen he went back to the recording studio in 2006 and made a new album, An Other Cup, under the name Yusuf. It was very favourably received and was released almost 40 years to the day after his very first single. His most recent album is Roadsinger, and while music isn't the motivating force in his life anymore it is still important to him: "You can argue with a philosopher, but you can't argue with a good song. And I think I've got a few good songs." 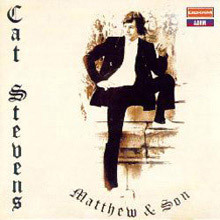 Cat Stevens' Matthew & Son was among the handful of releases that introduced Decca Records' "offbeat"-oriented (but ultimately largely psychedelic/progressive) Deram label in England. Actually, Stevens' "I Love My Dog" launched the label in fine style by climbing to number 27 on the U.K. charts, and its follow-up, "Matthew & Son," hit number two, resulting in the release of the original album of the same name. The latter was not only a fine account of Stevens' early folk-influenced pop/rock sound, but was also a beautiful, candid audio "snapshot" of one side of Swinging London's musical ambience in late 1966 and early 1967. It melds tinkling harpsichords ("Matthew &amp; Son") and moderately ambitious orchestrations (mostly horns and strings) on some songs ("I Love My Dog") with folky acoustic guitar on others ("Portabello Road"), a lot of it carrying highly expressive, weirdly personal lyrics. Though it was like pulling teeth to get some of those early records out from Decca, this album sounds today like the record that should have accompanied the American version of the Beatles' Rubber Soul onto millions of turntables. It's very distant from the sound that Stevens was ultimately known for, and in many ways, it's more dated than what he did for Island/A&amp;M, but it's much more self-consciously accessible, arranged in different styles, ranging from vaudeville-style band accompaniment ("I See a Road") to trippy Donovan-esque ballads ("Baby Get Your Head Screwed On," "When I Speak to the Flowers," "Hummingbird"). Some of it, such as the sax-driven "Come on and Dance," is a little awkward as efforts at a soul sound, but all of it is fun, even the slightly too Engelbert Humperdinck-esque "Lady." New Masters is as uneven musically as its predecessor, Matthew & Son, was bold. It was recorded after Cat Stevens had enjoyed a trio of hit singles of his own and a pair of hits ("Here Comes My Baby," "First Cut Is the Deepest") as a songwriter, but also after he'd started drinking regularly and the hits had stopped coming as easily. As he had also broken with his producer, Mike Hurst, it was -- according to Andy Neill -- truly a lawyers' record, in the sense that attorneys were all over the studio during the recording, representing both sides of the dispute. And with the record label caught in the middle, the resulting album was allowed to die on the vine in 1967/1968 (though Decca was able to sell it in profusion when it was reissued when Stevens re-emerged as a popular singer/songwriter in the early '70s). In a sense, it's more of the same as Matthew & Son but, intrinsically, not as interesting as a late 1967 release, as the earlier record was as an early 1967 release. The quirky, folky pop sound is there, on songs like "Kitty" and "Northern Wind." Some of it's highly derivative -- "The Laughing Apple" owing a bit to "Greenback Dollar," among other songs -- interspersed with pop balladry ("Smash Your Heart") and whimsy ("Moonstone," "Ceylon City"), plus the author's version of his own pop-soul standard "The First Cut Is the Deepest." Cat Stevens virtually disappeared from the British pop scene in 1968, at the age of 20, after a meteoric start to his career. He had contracted tuberculosis and spent a year recovering, from both his illness and the strain of being a teenage pop star, before returning to action in the spring of 1970 -- as a very different 22-year-old -- with Mona Bone Jakon. Fans who knew him from 1967 must have been surprised. Under the production aegis of former Yardbird Paul Samwell-Smith, he introduced a group of simple, heartfelt songs played in spare arrangements on acoustic guitars and keyboards and driven by a restrained rhythm section. Built on folk and blues structures, but with characteristically compelling melodies, Stevens' new compositions were tentative, fragmentary statements that alluded to his recent "Trouble," including the triviality of being a "Pop Star." But these were the words of a desperate man in search of salvation. Mona Bone Jakon was dominated by images of death, but the album was also about survival and hope. Stevens' craggy voice, with its odd breaks of tone and occasional huskiness, lent these sometimes sketchy songs depth, and the understated instrumentation further emphasized their seriousness. If Stevens was working out private demons on Mona Bone Jakon, he was well attuned to a similar world-weariness in pop culture. His listeners may not have shared his exact experience, but after the 1960s they certainly understood his sense of being wounded, his spiritual yearning, and his hesitant optimism. Mona Bone Jakon was only a modest success upon its initial release, but it attracted attention in the wake of the commercial breakthrough of its follow-up, Tea for the Tillerman. 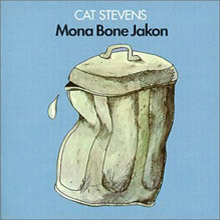 Mona Bone Jakon only began Cat Stevens' comeback. Seven months later, he returned with Tea for the Tillerman, an album in the same chamber-group style, employing the same musicians and producer, but with a far more confident tone. Mona Bone Jakon had been full of references to death, but Tea for the Tillerman was not about dying; it was about living in the modern world while rejecting it in favor of spiritual fulfillment. It began with a statement of purpose, "Where Do the Children Play?," in which Stevens questioned the value of technology and progress. "Wild World" found the singer being dumped by a girl, but making the novel suggestion that she should stay with him because she was incapable of handling things without him. "Sad Lisa" might have been about the same girl after she tried and failed to make her way; now, she seemed depressed to the point of psychosis. The rest of the album veered between two themes: the conflict between the young and the old, and religion as an answer to life's questions. Tea for the Tillerman was the story of a young man's search for spiritual meaning in a soulless class society he found abhorrent. He hadn't yet reached his destination, but he was confident he was going in the right direction, traveling at his own, unhurried pace. The album's rejection of contemporary life and its yearning for something more struck a chord with listeners in an era in which traditional verities had been shaken. It didn't hurt, of course, that Stevens had lost none of his ability to craft a catchy pop melody; the album may have been full of angst, but it wasn't hard to sing along to. As a result, Tea for the Tillerman became a big seller and, for the second time in four years, its creator became a pop star. Even as a serious-minded singer/songwriter, Cat Stevens never stopped being a pop singer at heart, and with Teaser and the Firecat he reconciled his philosophical interests with his pop instincts. Basically, Teaser's songs came in two modes: gentle ballads that usually found Stevens and second guitarist Alun Davies playing delicate lines over sensitive love lyrics, and up-tempo numbers on which the guitarists strummed away and thundering drums played in stop-start rhythms. There were also more exotic styles, such as the Greek-styled "Rubylove," with its twin bouzoukis and a verse sung in Greek, and "Tuesday's Dead," with its Caribbean feel. Stevens seemed to have worked out some of his big questions, to the point of wanting to proselytize on songs like "Changes IV" and "Peace Train," both stirring tunes in which he urged social and spiritual improvement. Meanwhile, his love songs had become simpler and more plaintive. And while there had always been a charming, childlike quality to some of his lyrics, there were songs here that worked as nursery rhymes, and these were among the album's most memorable tracks and its biggest hits: "Moonshadow" and "Morning Has Broken," the latter adapted from a hymn. The overall result was an album that was musically more interesting than ever, but lyrically dumbed-down. Stevens continued to look for satisfaction in romance, despite its disappointment, but he found more fulfillment in a still-unspecified religious pursuit that he was ready to tout to others. And they were at least nominally ready to listen: the album produced three hit singles and just missed topping the charts. 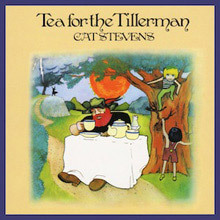 Tea for the Tillerman may have been the more impressive effort, but Teaser and the Firecat was the Cat Stevens album that gave more surface pleasures to more people, which in pop music is the name of the game. Catch Bull at Four began with a statement of purpose, "Sitting," in which Cat Stevens tried to talk himself into believing that he hadn't stalled, beginning to worry that he might be falling behind schedule or even going in circles. It may be that Stevens' recent experiences had contributed to his sense that he was running out of time. Though he was never a directly confessional writer, one got the sense that his disaffection with the life of a pop star was reasserting itself. And while he was touring unhappily around the world, the world was still going to hell in a handbasket. Yet Stevens was still motivated by his urge to help mankind mend its ways. Love provided some comfort, but for the most part, the singer who had seemed so excited on his last album now sounded apprehensive. Stevens set his reflections to a mixture of musical styles that included traces of old English folk songs, madrigals, and Greek folk music along with more typical rock stylings, all performed with the stop-and-start rhythms that added drama to his performances. 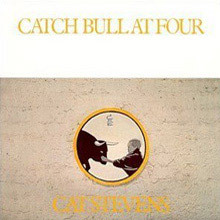 Nevertheless, Catch Bull at Four was a more difficult listen than its three predecessors. Coming off the momentum of Teaser and the Firecat, it roared up the charts to number one, but stayed in the Top Ten fewer weeks than its predecessor. Fans who had been stirred by Stevens' rhythmic tunes and charmed by his thoughtful lyrics were starting to lose interest in his quasi-religious yearnings, busy arrangements, and self-absorbed, melodramatic singing. His career still had a ways to go, but as of Catch Bull at Four, he had passed his peak. Foreigner was released in July 1973. In addition to the minor hit "The Hurt", which received a moderate amount of airplay, Foreigner also included such songs as "100 I Dream" and the 18-minute-long "Foreigner Suite", which took up the entirety of side one. 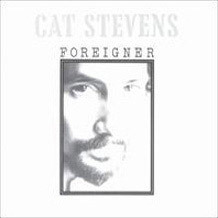 While Foreigner was Cat Stevens' fifth consecutive gold album and his fourth straight Top Ten hit, it actually marked a small drop commercially and encountered critical resistance for the lengthy suite that took up all of side one. Eight months later, Buddha and the Chocolate Box found Stevens back in England and back with producer Paul Samwell-Smith and second guitarist Alun Davies. It also marked a return to the simpler style of earlier albums. No song ran much over five minutes, the arrangements were sparer and featured more acoustic guitar, and the lyrics did not take off into discursive ruminations about the state of the universe. 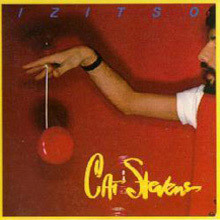 It was very much as if Stevens was deliberately trying to make an album like Teaser and the Firecat, his commercial and artistic apex. Having begun the album with an ode to "Music" and its potential for reforming the world, he ended with "Home in the Sky," in which he sang, "Music is a lady that I still love." Such statements of renewed commitment added to the sense that the album was consciously crafted as an attempted second wind for the singer, who had been recording and performing at a torrid pace since returning to the music business full-time four years before. But that was not to say that he had abandoned the spiritual nature of his creative quest, and the songs were, as usual, littered with religious imagery. Stevens' fans responded warmly to Buddha and the Chocolate Box's stylistic return to form. "Oh Very Young" became his first Top Ten hit in two years, and the album was held out of number one only by The Sting. The album's tone, however, suggested that Stevens was once again wearying of being a pop star, even as he delivered a record that maintained that status. 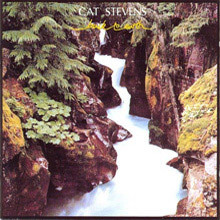 Cat Stevens bounced back from the lackluster Numbers with an album of pop/rock songs that brought his usual rhythmic folk-rock into contemporary style with the Muscle Shoals rhythm section, a snappy Dave Kershenbaum production, and lots of synthesizers. Most of the songs were unusually lightweight, but the autobiographical "(I Never Wanted) To Be a Star" explored Stevens' ambivalence about being in the music business, an attitude that would find him dropping out and finding religion after one more album. In the meantime, Izitso produced a final Top 40 hit in "(Remember the Days of The) Old Schoolyard" and a singles-chart entry in the instrumental "Was Dog a Doughnut." As a result, Stevens returned to the Top Ten LPs list with a ninth straight gold album, his last. In retrospect, it is not hard to find hints of a coming change in the final album Cat Stevens made before a near-death experience and a religious conversion. "I must be heading for a breakdown," he notes in "Bad Brakes," the album's sole singles-chart entry; there are songs titles like "Last Love Song" and "Never"; and there is, throughout, an elegiac tone to the mostly quiet ballads. But it is just as easy to see Back to Earth as an intended return to the simple style of albums like Tea for the Tillerman and thus a return to form: producer Paul Samwell-Smith is back on board, along with his subdued arrangements, and Stevens is again investigating his favourite themes, including children ("Daytime"), the father-son relationship ("Father"), and the vulnerable nature of romantic love, in plain-spoken verses. The year 1978 was late for a sensitive singer/songwriter to make a comeback; most of the folkies were getting tossed off the major labels by then. So, it's doubtful that Back to Earth could have re-established Cat Stevens even if he had been willing and able to promote it. As it is, the album serves as a satisfying coda to his pop career.